It is really a good habit to set ringtones for your schedule, which can remind you in time. There are various kinds of ringtone music for you to choose to set and every people has his or her own music tendencies. Among all music ringtones, the new country music has become popular during these years. Increasingly numbers of people begin to download free new country ringtones to use them. The ways to download such kind of music ringtones are also diverse. This guidance will recommend some of them to you. Country music is also called country and western, and hillbilly music, which is originated in the southern part of USA. Its root is the genre of folk music and blues, which always includes ballads and dance tunes with generally simple forms, folk lyrics, and harmonies. In the USA, country music turns to be the most enjoyed rush hour radio genre during the evening commute, which is also quite popular in the morning commute. With the fast development of music in modern times, country music now refers to many styles and subgenres, which blended different kinds of songs, tunes, ballads and etc. The new country music, therefore, emerges in the process of blending of various music elements. Since new country music is popular, you may desire to use some methods to save this kind of songs on your computer or portable devices as ringtones. This aim can be achieved easily after you read the following contents. The online ringtones sources are in a large number, which provides many chances for you to get free new country music ringtones from websites directly. Here I would like to set Red Ringtones website for instance to tell you how to get this work done. 1. 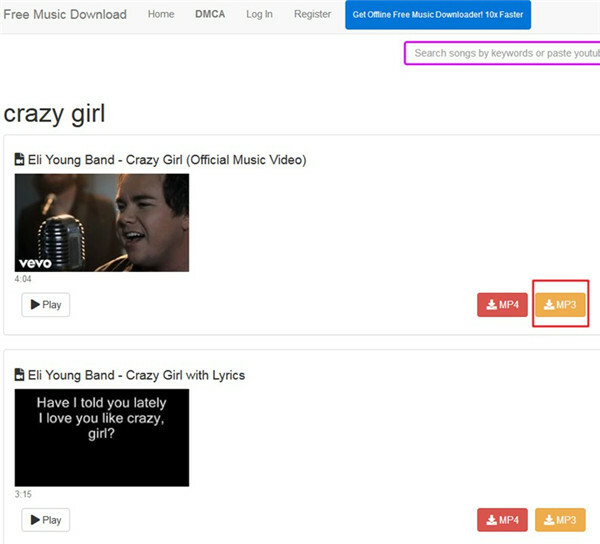 On your computer, you need to kick off a web browser and then navigate to the website of Red Ringtones to begin to finish the task to download free new country music ringtones. 2. 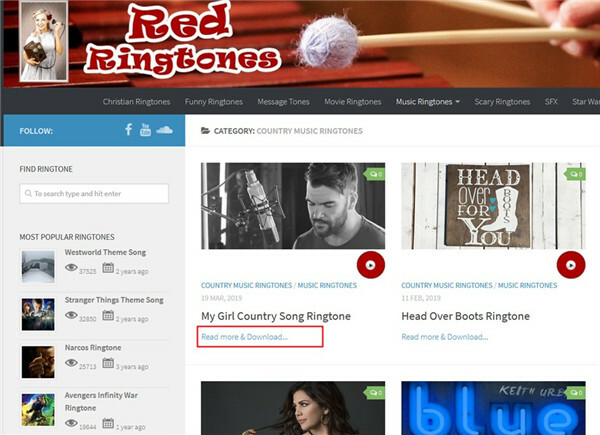 Enter “country music ringtones” in the searching bar of the website and the interface will show you many results for you to choose. 3. Click on the tab of “Read more & Download…” under the country music ringtone that you desire to save on your computer. 4. After that, you need to right-click on the button of “Download MP3” and save it in a proper folder on your computer. You can also play it for enjoyment before you download it. Although you can download many free pieces of new country ringtones from websites directly, you are not able to download the paid excellent ones without payment. Latest new country music ringtones only can be enjoyed online, and if you want to save it in your local folder, it will ask for a payment. In that case, you can take advantage of some professional tools to assist you to make it. 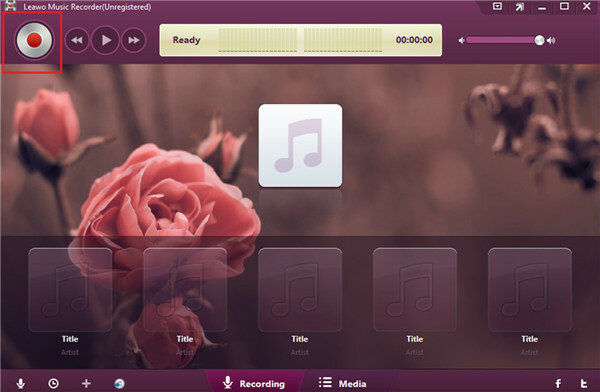 Leawo Music Recorder is one useful music recording program that allows you to record free music from computer audio, built-in input audio, and streaming music sites. 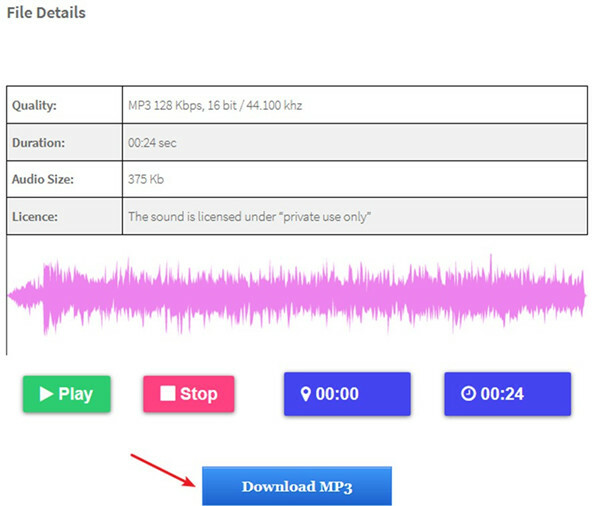 All the music recorded by this tool can be stored as MP3 or WAV format. The following steps will direct you to download free new country music ringtones perfectly. Install and launch Leawo Music Recorder on your computer and then hit microphone icon to call out the penal of settings. Click on the icon of “Audio Source” to choose the option of “Record Computer Audio” to tap on. Navigate to the menu of “General”, and then use the “Output” box under it to choose one folder to save the exported new country music ringtone recording file. Click on the tab of “Format” and then you can set the format (MP3 or WAV) of the recorded new country music ringtone by hitting on the downward triangle box. You are also able to set proper bit rate and sample rate for your recording in this panel. Tap on “OK” button to confirm your settings. Hit on the red recording button in the main interface and then go to the website to play the ringtone you desire to record. You need to allow the music recording program to begin recording first before playing the streaming new country music ringtone. Click on the record button again after the ringtone is over. Thus, it will be available on your set folder. Hit on the “Media” button in the bottom middle of the software interface, and then click on “All Recordings” under the menu of “Library”. In the right part of the interface, right-click on the ringtone that you have recorded and choose the option of “Edit Music Tags” to begin to manually edit the new country music ringtone tags like title, artist or album. If you take advantage of Leawo Music Recorder, you can save a lot without purchasing the new country music any longer anymore. If you do not want to download and install software on your computer, you can resort to online music downloader to get new country ringtones. Freemusicdownloads is a good place to go to. 1. Visit the website of freemusicdownloads and then enter the new country music ringtone that you would like to save. 2. When the interface shows the result you need, you can hit on the “MP3” button at the right side of it. The online music downloader will begin to convert it to MP3 format right away. 3. When you see the percentage panel reaches 100%, you can click on the tab of “Download to Local” to choose a proper folder to save the new country music ringtone. As for the issue of how to download free new country music ringtones, Chrome add-on is also a good choice for you. 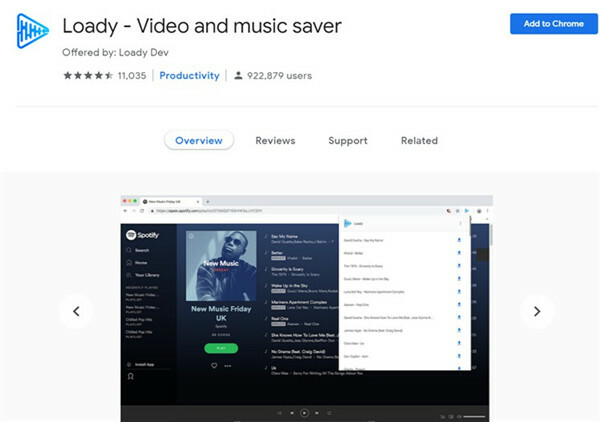 Loady – Video and music saver is excellent enough for you to have a try. 1. Open Chrome web browser on your computer and then click on “Apps” to search Loady – Video and music saver. When you find it, hit on “Add to Chrome” option. 2. Play the new country music ringtone you desire to download online and then click on the icon of the Loady – Video and music saver at the top right corner of the Chrome web browser. 3. A menu will show and you need to tap on the download button at the right side of the music ringtone. Thus, the add-on will begin to download it to your computer local folder. If you want to get new country ringtones for mobile, first you can download them to your computer and then transfer them to your iPhone or other portable devices. This task can be finished with the help of Leawo iTransfer. It only calls for a few clicks to make it. This powerful software can be used to transfer 12 kinds of different files. Make use of the following contents to have a try and you will know it is not hard to handle it at all. Run Leawo iTransfer and then insert iPhone into computer with proper USB cable. The program will begin to detect your iPhone device automatically. Click on the iPhone device icon and then hit on “LIBRARY > Ringtones” tab to check all ringtones on your iPhone in the right part of the screen. After that, you need to click on “Add >Add File” or “Add >Add Folder” button successively to choose the new country music ringtones that you desire to import to iPhone. Hit on “Open” button when you find them. Thus, the new country music ringtones will be added to your iPhone rapidly. In a few seconds, you will be able to enjoy them on your iPhone and apply them. With the assistance of the methods shown above, you will be able to get new country music ringtones to your computer and iPhone device easily. 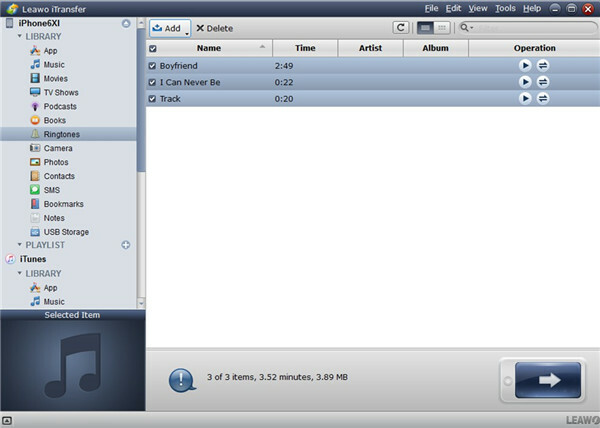 Leawo Music Recorder and Leawo iTransfer are really good tools for you to make use of to download and transfer songs. If you are interested in other features of these two programs, you can check out other related tutorials in the official website to help you.